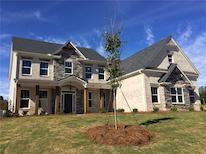 New Homes in Suwanee, Georgia built by Chafin Communities! 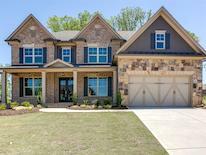 Welcome to Settles Bridge Estates in Lambert High School District, where Chafin Communities is excited to be building its newly designed high-end luxury home designs. It is like walking through a real life Houzz or Pinterest photo. Months and months of research has gone into these plans to create the perfect blend of form and function all while maintaining the Chafins solid reputation for offering the most value for your money. Every aspect of these luxury home plans have been meticulously scrutinized to give todays home buyer the best, from the impressive architectural exterior details of brick and stonework, to redesigning the living spaces by adding outdoor living, flex space options, built in refrigerators and on to the stunning new trim work adorning floor to ceiling through out. Then to top it off we are offering all the latest colors and selections in tile, cabinetry, and granite and hardwood floors! 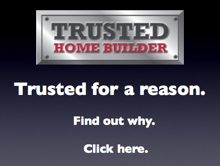 You are truly getting the ultimate in home designs and features. Settles Bridge Estates is also located in the hottest selling area of Metro Atlanta - Suwanee, Forsyth County, just 30 minutes from downtown Atlanta and with easy access to GA400. This is a fast growing area with the highly sought after school of excellence Lambert High School. Lambert High has numerous AP clubs, Lacrosse and is located next to the Old Atlanta Recreational Center. Lambert is highly ranked from multiple sources, just recently US News ranked it 22nd in Georgia for AP coursework. Also, close to Settles Bridge Estates for more outdoor fun is Lake Lanier, the largest man made lake in the sought, with Lake Lanier Islands Water Park, several beaches, many marinas and over 20,000 boaters. The Islands has a huge water park with wave pool, half a dozen water slides and huge beaches. If you want to escape for a weekend, they have the Lodge with its year round heated pool that offers kid night movies on the large screen over the pool. Lake Lanier Islands also has golfing, zip-lining and horseback riding. For more information about these new homes in Settles Bridge Estates, call Chafin Communities at 470-269-3829.